Single tenant transaction volume for 2018 exceeded 2017 by 9%. Cap rates for net leased retail and office properties increased by 2 and 8 basis points respectively. Cap rates for net leased industrial properties compressed by 7 basis points. The Boulder Group, a net leased investment brokerage firm, has completed the sale of a single tenant net leased Walgreens property located at 159 E Grand Avenue in Hot Springs, Arkansas for $1,666,567. 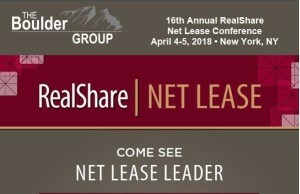 The Boulder Group releases its 2019 Net Lease Tenant Profiles report. The report provides comprehensive insight into tenant lease structures and cap rates for over 70 tenants. The Boulder Group releases its 4th Quarter 2018 Net Lease Auto Parts Report. The report provides comprehensive numbers and analysis of the net lease property market. 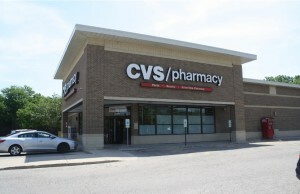 The Boulder Group, a net leased investment brokerage firm, has completed the sale of a net leased property located at 336-338 West Ogden Ave, Downers Grove, Illinois for $3,280,000. The Boulder Group, a net leased investment brokerage firm, has completed the sale of a single tenant net leased 7-Eleven property located at 2317 Holland Road in Suffolk, Virginia for $2,727,000. The Boulder Group, a net leased investment brokerage firm, has completed the sale of a single tenant TCF Bank located at 200 25th Ave S in St. Cloud, Minnesota for $3,100,000. The Boulder Group, a net leased investment brokerage firm, completed the sale of a single tenant net leased Jewel-Osco property located at 16625 W 159th St, Lockport, Illinois for $12,950,000.